Looking everywhere for what to do with the kids during Spring Break? Look here! 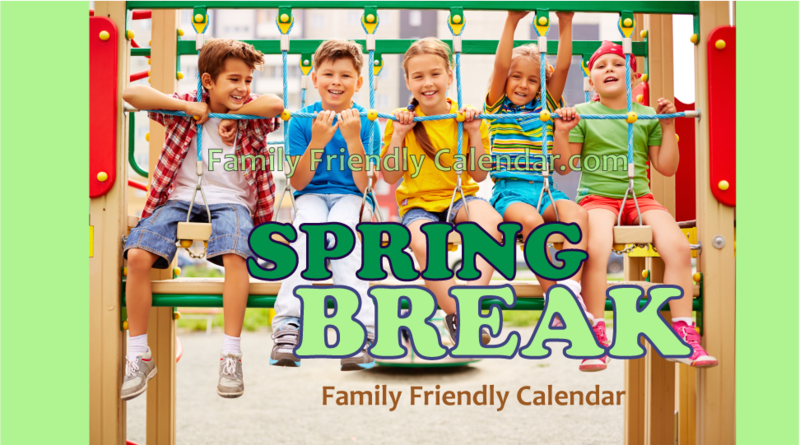 Family Friendly Calendar’s Spring Break Directory! We have listed all the Spring Break Camps we found here. Save time and just scroll down to find the directory. There’s camps for preschoolers to teens. Indoor and outdoor camps are listed. Easy to find by name, date or location. There’s a few with minimal costs. Family Friendly Calendar also has The Kid Event calendar that lists only kid friendly and has lots of free events. Spring Break Camps generally run from Monday thru Friday. If you click the name of the camp you will be able to find specific details for each camp. Camps are listed in alphabetical order by city. We hope you find this directory useful to plan your Spring Break.